Just Got A Traffic Ticket -- What Now? Just Got A Traffic Ticket — What Now? I Just Got a Traffic Ticket and I Don’t Know What To Do Next? 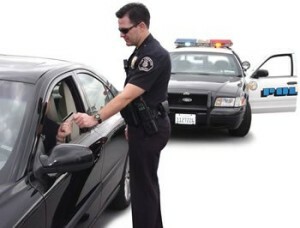 If you just received a traffic ticket and it is listed on the ticket itself as a civil infraction that means it is considered a minor violation of the law. That being said, it is still a violation of the law that has consequences. A civil infraction can include speeding, driving to fast for conditions, careless driving, failure to signal, failing to change your address, plus many more. A civil infraction traffic ticket carries a fine and, with some exceptions, points on your driving record. This can effect the status of your driving privileges and also your insurance rates. 1. Pay the ticket: this is almost always the wrong thing to do. This is because there almost always can be things done to minimize the damage to your license and insurance rates. 2. Ask for an Informal Hearing: this is a hearing with you, the police office and the court’s magistrate, or judge. There are no attorneys on either side. The officer presents his case and you have an opportunity to present your case. A decision gets made. If the case was heard by the magistrate and you disagree with the decision, you have the right to appeal the decision to the judge. This is a formal hearing. In order to appeal the informal hearing to a formal hearing you must post a bond with the court in the amount of the ticket. 3. Ask for a Formal Hearing: At a formal hearing attorneys get involved. The prosecutor will be representing the police officer and you may have an attorney with you too. At this stage, it is wise to have legal counsel so you do not have to face the court, prosecutor and police officer on your own. The attorneys at LEWIS & DICKSTEIN, P.L.L.C. have spend decades working in Michigan’s traffic courts. Several of the firm’s attorneys have also worked in the courts as judicial officers making decisions relative to traffic offenses. With LEWIS & DICKSTEIN, P.L.L.C. as your traffic ticket defense law firm, you have attorneys with the experience and special skills to help minimize the damage done to your driving record and insurance rates. Michigan has limited public transportation, so it is extremely important that you retain the right to stay on the road legally. Call us at (248) 263-6800 with your traffic ticket issues and we can help. You may also complete a Request for Assistance Form and one of our highly experienced attorneys will call you.